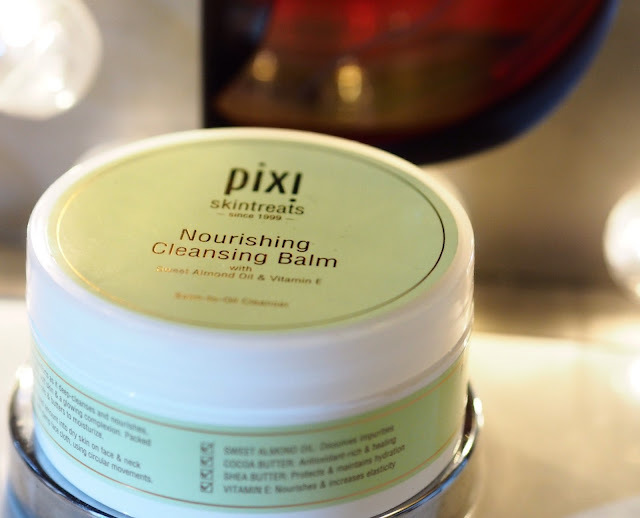 I’m slowly working my way through reviewing (almost) the entire Pixi beauty skincare range, and this week it’s the turn of Pixi Skintreats Nourishing Cleansing Balm. A gently rose-scented balm, this is great for makeup removal, and leaves skin soft and cleansed after use. A mix of almond oil, coco butter and shea butter fortified with vitamin E, this is a very soft balm, which is slightly grainy from the shea butter. It melts really easily on the skin, and provides more than enough slip for a good massage. It’s rather bland, and slightly “thinner”-seeming than more essential-oil heavy balms, and as such, I prefer this for a first cleanse rather than a second. You won’t necessarily need a second cleanse with it, but sometimes I do like to follow it up with something richer. It dissolves makeup quite easily, even the heaviest of full-coverage foundations, and copes well with eye makeup too – I still prefer to use a separate eyemakeup remover, personally, but my approach to mascara and eyeliner is possibly a little more …ah … theatrical than a lot of people’s. Tocopherol, Cetyl Alcohol, Benzyl Alcohol, Fragrance. This is a big 90ml tub for £18, and as such, I don’t mind throwing a huge glob of this onto my face to remove my makeup. 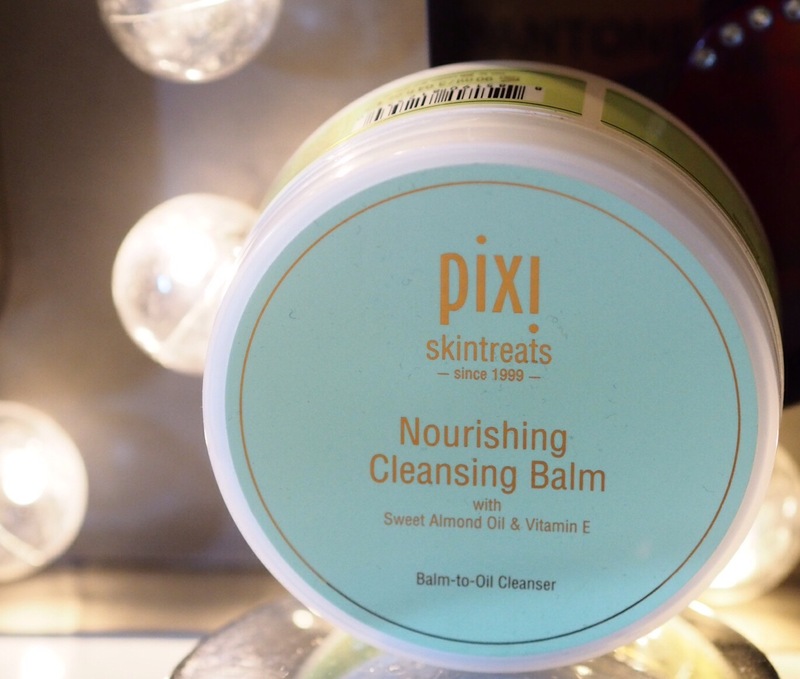 I’m really impressed with the Pixi Skintreats range so far, they’re reasonably priced, don’t make any outlandish and unverifiable claims for changing your life, and do what thy tell you they’re going to do very well indeed. They’re hard to beat. This sounds like a good range 🙂 I actually really love cleansing balms!